Allied Health Professionals Suffolk is a staff led social enterprise providing high quality accessible health care at the point of need to help people return to optimal health and stay healthy. We provide specialist musculoskeletal physiotherapy and Back and Neck services to a large area of East Anglia. We also provide extended service to people with chronic back problems, run a ground breaking educational programme for people who may require joint replacements, and are working with our NHS commissioning colleagues to develop new services around chronic pain management and other peripheral joint pathologies. 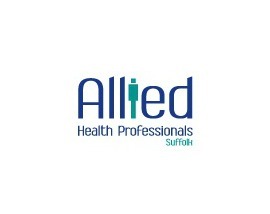 Allied Health Professionals Suffolk have a developing business sector providing occupational physiotherapy, ergonomic advice and support and specialist manual handling training. We also provide support to emerging health sector social enterprises and consultancy support for business start ups. We are a community interest company working in partnership with our staff, patients and commissioners to develop a continually improving range of services to meet their needs effectively and efficiently. Our aim is to support our team members and our communities to live healthier happier lives. A strong focus on health and well being will support the achievement of this aim and support our local health economy to continue to be sustainable in the long term. We work with partner organisations to ensure as far as possible that our patients are seen in the right place first time. This reduces pressure on primary and secondary care. Our aim through this is to develop healthier communities and reduce usage of primary and secondary care. Delivery of community gyms in two of our locations, and rehab instructor support across 12 of our locations, developing positive exercise habits and supporting healthier happier lives. Monthly health and wellbeing newsletters. Bi weekly clinical newsletters, promoting best practice across our profession. Openly available through the internet and social media. Weekly walk with a physiotherapist for community members not actively part of a physiotherapy episode of care, supporting low level concerns re health and well being, and encouraging exercise for all. Partnership working with leisure providers, acute and community health organisations. Reduction in referrals to secondary care, by up to 20%. Enhanced motivation from patients to contribute to treatment – reduction in face to face appointments by 0.8 sessions per episode of care. Working in primary care – reducing GP visits by up to 30% in the 12 practices we currently work with as first point of contact musculoskeletal practitioners. Surveyed and evaluated patients, referrers and team members. AHP Suffolk used as example of excellence in clinical physiotherapy practice. Friends and Family scores of 99 or 100% consistently. Achievement of all contractual KPIs for past 5 years. We have received 65,000 separate referrals for physiotherapy in the last year, resulting in 186,000 clinical contacts. Of those people receiving physiotherapy between 98 and 99% report their treatment goals fully or partially achieved on discharge, and between 99 and 100% report being satisfied or very satisfied with their physiotherapy. Generally healthier communities; Increased knowledge of self referral to physiotherapy reducing the requirement for GP appointments. Financial support to Artlink charity as named charity for this year.